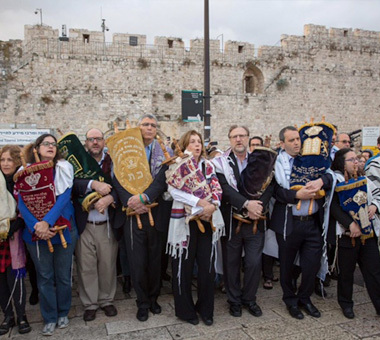 Headquartered in Jerusalem, the WUPJ represents the largest body of Jews in the world who seek a traditional yet contemporary expression of their Jewish spiritual, cultural and religious identity. It is the World Union’s goal to ensure that all Jews have access to a vibrant and personally meaningful Jewish life that can best inspire them spiritually and ensure the future of the Jewish People, whether in the State of Israel or throughout the Diaspora. For more about our activities, in the areas of community building, leadership development and youth & young adults, read Our Work. 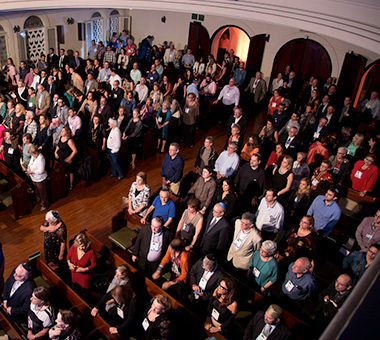 Every four years the World Union convenes its international biennial conference, CONNECTIONS, in Jerusalem bringing together Reform, Progressive and Liberal Jews from around the world for four-days of workshops, lectures, prayer, gala events, site visits and more. This year’s focus of CONNECTIONS 2017, Milestones & Innovation, honours 200 years of Progressive Jewish history while exploring innovation in Jewish life and its impact on the future of our Jewish peoplehood. Please click here to read a copy of the latest WUPJ Annual Report.